This is another photo from the great Katsucon weekend! I’m sorry I haven’t posted more. I caught the flu over the weekend and I’m not up for it yet. 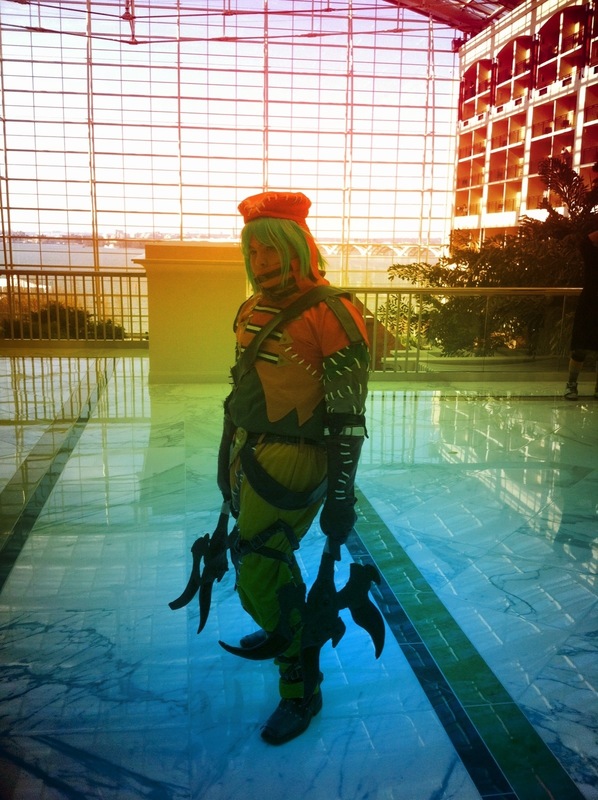 The person in the photo is from the .hack game series. The games were really awesome so check them out. I really enjoy the costume, though it’s not from the anime series, it’s from the game series 🙂 still great though, and I believe the characters name is KIte (but he is based of tsukasa). I loved the game till I got stuck >_<;! Thanks! Yea, My sister, who is a huge fan, corrected me. I just saw the anime so I wouldn’t really know! LOL I attempted the play the games a long time ago but I got stuck to. It was kind of repetitive too. This character also looks like the girl from .hack//quantum (with obvious changes to the costume) too. But the detail is really nice and I want the weapons just to have on my wall. The game details were wonderful. I cannot disagree with that! I did waste HOURS of my life playing them. I did finish the first 3 games of the first game series. Never got to the 4th one. Then I think I got burned out. I wanted to play the other ones but couldn’t afford it and thought you had to finish the first one before you finshed the next. How were the other ones? The first 3 Hack games stories were great! The stories are really intense the further you get into them. I really liked that they matched the games with the movie DVDs too. I mean, you can get them really cheap now on ebay. I almost never buy NEW games because they are so expensive. I recommend! I should look into it when I have spare cash…awhile ago lightining hit my house and killed my ps2…so I have to buy another one of those first!